25X30 Classic Collapsible Spyscope - Brass Finish, BK-7 Prisms, Collapsible Eye-Piece, Leatherette Storage Case, FOV 105 Ft At 1,000 Yds | BUDK.com - Knives & Swords At The Lowest Prices! 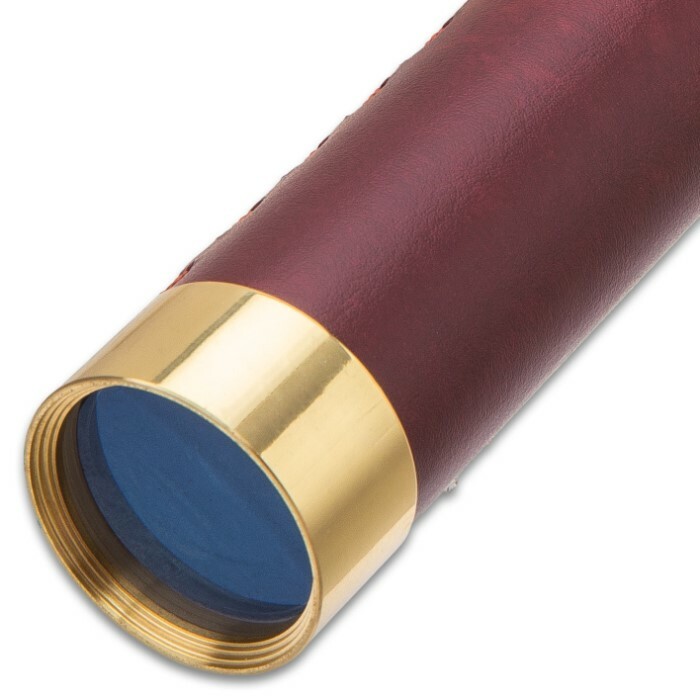 The 25X30 Classic Collapsible Spyscope is a precision crafted brass telescope useful for bird watching and landscape observation, as well as, making a stunning addition to your library or office decor. The stylish, collapsible spotting scope combines elegance and classic styling in a precision-made optical device. Fully coated glass lenses and BK-7 prisms transmit bright contrast-rich images, making this spyscope as beautiful to look at as it is to look through. It is a 25x monocular with a 30 mm objective and a FOV of 105 ft at 1,000 yds, plus, a close focus distance of 20 ft. 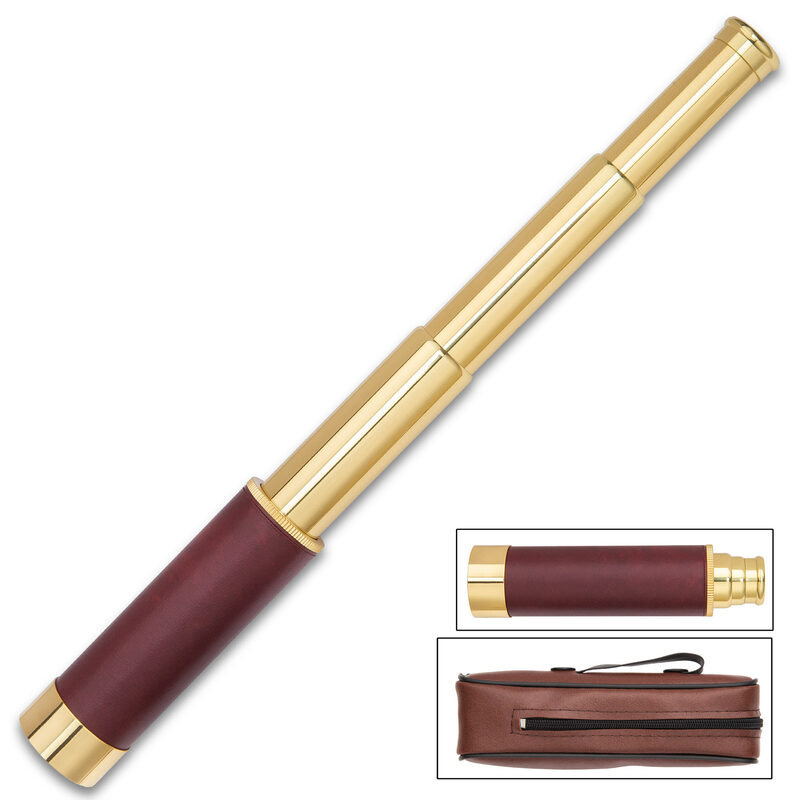 The handheld telescope has a polished brass finish with a leather wrap with a collapsible eyepiece for compact storage. 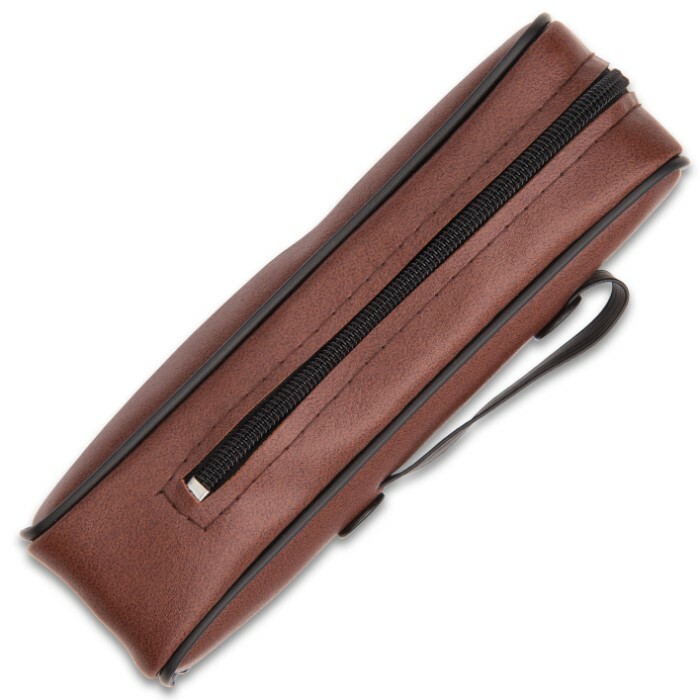 It comes in a premium brown leatherette, zippered case with a lanyard for protective storage and ease of carry. 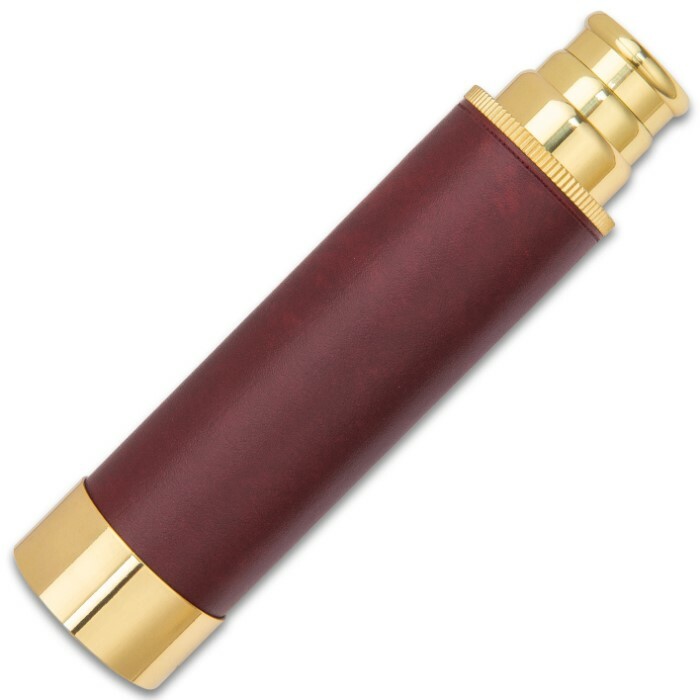 This terrestrial telescope is perfect gift for any occasion. Excellent quality! VERY professional company and very quick delivery! We are EXTREMELY pleased with quality of the Spyscope, professionalism and speed of the delivery! Our grandson us VERY happy with his Christmas gift!!! !